What art supplies am I using and what are the kiddos using? For younger kiddos I love tempera paint and watercolors. We buy tempera in bulk…just simple primary colors (red, yellow, blue), white, and sometimes black. Giving them the opportunity to make their own colors and not be afraid to mix the paint are invaluable. I will give them a small jar of water to wash their brushes but sometimes I don’t even do that…it encourages them to mix, mix, mix and use all the paint. Once they are old enough to try acrylic or oil: again, basic colors, nothing too fancy. 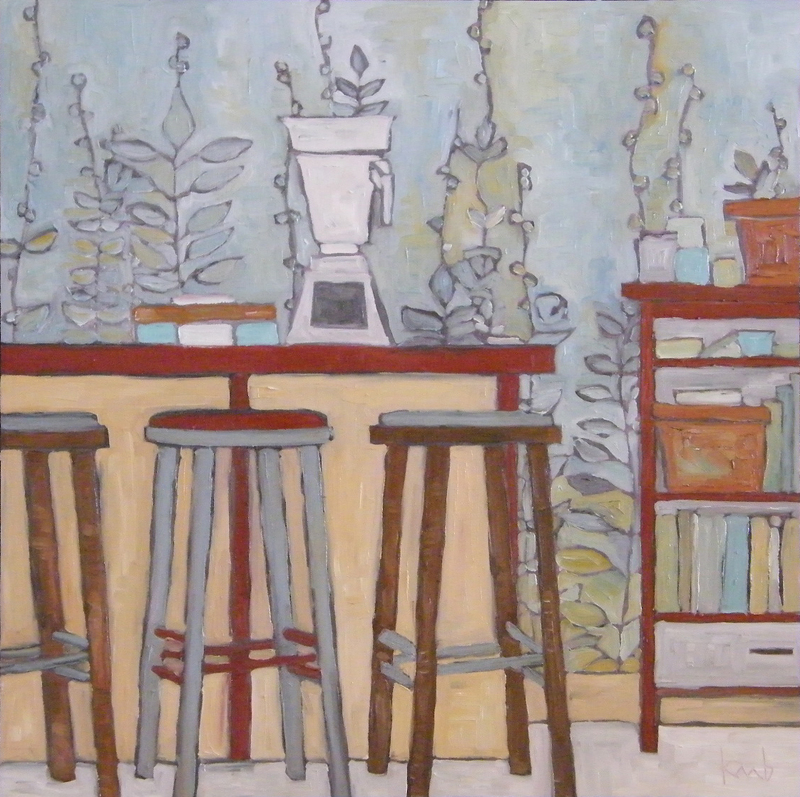 When I first started painting in oil I used Utrecht oil paint which I loved. Although I was using turpenoid to mix and clean my brushes (a greener option), it was still very smelly. Carl and I knew I’d eventually need a studio away from the home, especially the babies. 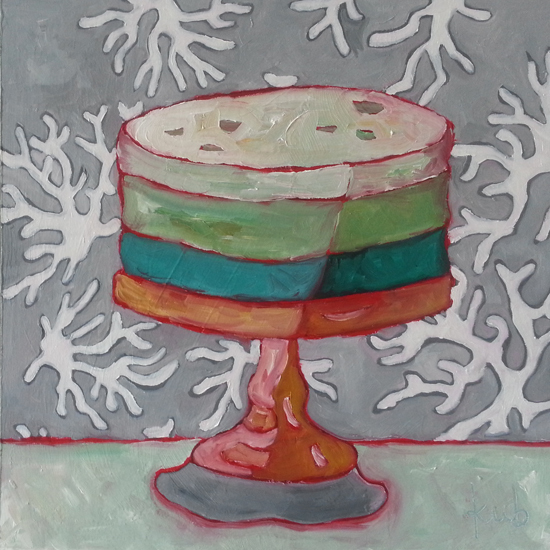 Then water-mixable oils became available and I never looked back. 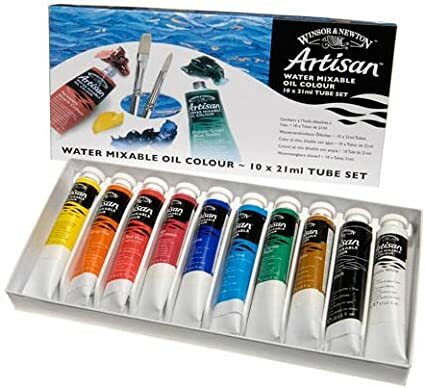 Both the kids and I use Winsor and Newton’s Artisan water mixable oil paint. The paint dries a little faster than traditional oil paint, still of course much slower than acrylic. Plenty of time to mix and mess with the piece, but absent of smell and toxins: good for kiddos and super easy clean-up as you use water to mix the paint as well as clean the brushes. 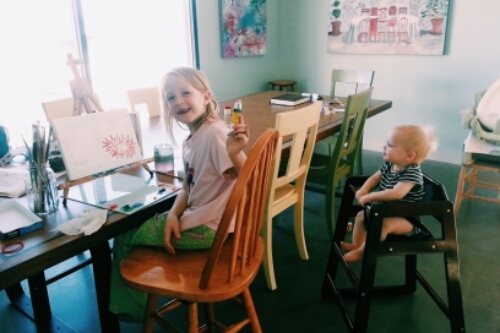 It is easy enough that the kiddos can prep, paint and clean up all on their own. 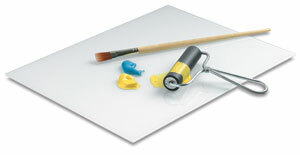 They still use paint shirts, but if some spills or gets on the floor or walls it is easy to wipe clean.